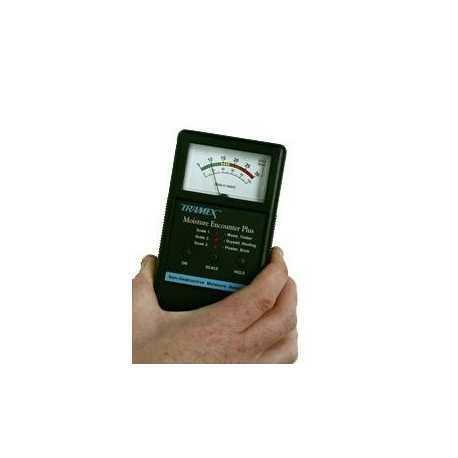 Non-destructive moisture detector for wood, felt roofing, drywall, plaster, brick and tile. the Tramex Moisture Encounter PLUS is an upgraded version of the world's most popular and successful non-destructive moisture meter, the Moisture Encounter. Detects moisture through paint, wall coatings, drywall, ceramic tiles, floor coverings, wood, roof coverings and ceiling tiles. Wide range of readings for wood of 5% to 30% on wood scale and 0 to 100 on comparative scale for other materials.